Heard of blockchain but not quite clear about what it is? Here is a down and dirty overview that will bring you up to speed in a flash about how it works, why it’s important, and how it will flip the energy industry on its head. In case you’re not familiar with the concept of blockchain, it’s a distributed database (sometimes called a ledger), comprised of many connected computers, that follows a particular set of governing rules and deploys advanced cryptography to track data in such a way that the data can’t be changed retroactively. Transactions are split into “blocks”, and details of any transaction that occurs on the system are spread across multiple computers (locations or nodes), validated and encrypted, and then added to the chain of prior transactions, thereby ensuring the integrity and transparency of the system. Since all of the computers connected in the blockchain have visibility into the ledger and can track any of the transactions that take place, the system is effectively tamperproof. Which begs the question: what’s the best, most efficient, and secure way for these homes and buildings to communicate with each other and with the grid? That’s where blockchain comes in. 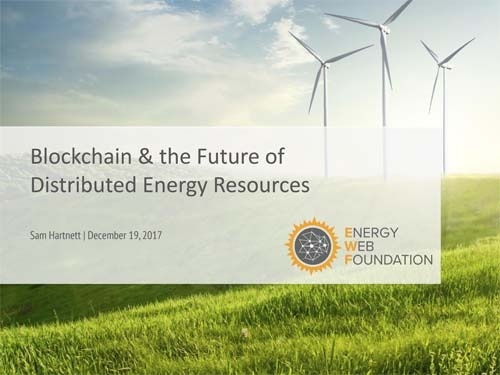 By offering a tiered structure that allows energy to be bought, sold, and transferred at street, neighborhood, and regional levels, blockchain can help not only balance demand, but also create a new type of financial market that optimizes energy pricing, enabling home and building owners to buy energy from the grid when it is cheapest and sell it back at peak pricing. In this future energy market, the entire transaction process and value proposition is inverted: in the historic energy model, utilities generate, transmit, and distribute energy in a one-way transaction with a ratepayer. In the new model, the value begins with the home or building, which generates at least some of its own energy and has a two-way dialogue not just with the central utility, but also other users (home, buildings, neighborhoods, and communities) in an open and transparent exchange. Each player in this new energy market will have the ability to create settings based on time of day, occupation patterns, energy budget, load flexibility, and generation capacity to optimize resource use and costs. Clearly, the new energy market is a complex proposition that requires a robust, transparent, cyber-secure, resilient, and low-cost tracking system—like blockchain, which, in theory at least (since it hasn’t been tested at scale yet), is infinitely scalable and incredibly flexible. While blockchain is still in its infancy, expect to see it grow by leaps and bounds in the coming years. It won’t be all smooth sailing: utilities are bound to push back against change; a new set of policies and standards will be required; and system pioneers will need to address the elephant in the room: the massive amount of energy that blockchain’s computing power demands. But, no doubt, a distributed system with a blockchain-like system will win out in the end, opening up new revenue opportunities and facilitating the development of a new era of enabling technologies. 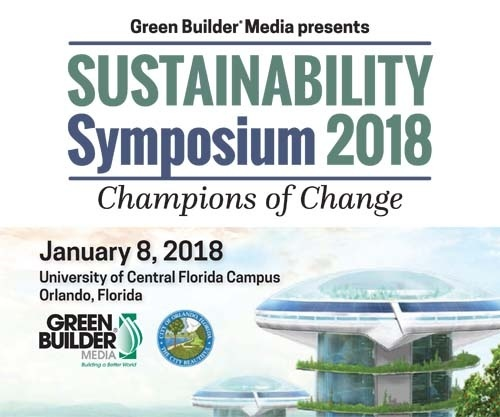 If you’d like to learn about blockchain and other enabling technologies that are transforming our world, check out Sam Hartnett’s webinar, and for a deeper dive, please join Green Builder Media, Mayor Dyer and the City of Orlando at the Sustainability Symposium: Champions of Change on January 8, 2018 at the University of Central Florida campus in Orlando, Florida. The event will directly and honestly confront the reality of climate change—the challenge of our generation, and the opportunity of a lifetime. Click here for more information about the Sustainability Symposium 2018: Champions of Change. Space is limited, to be sure to reserve your seat today! Got questions or ideas? Write to me at sara.gutterman@greenbuildermedia.com. Want to read more? Follow me on Twitter and Facebook. 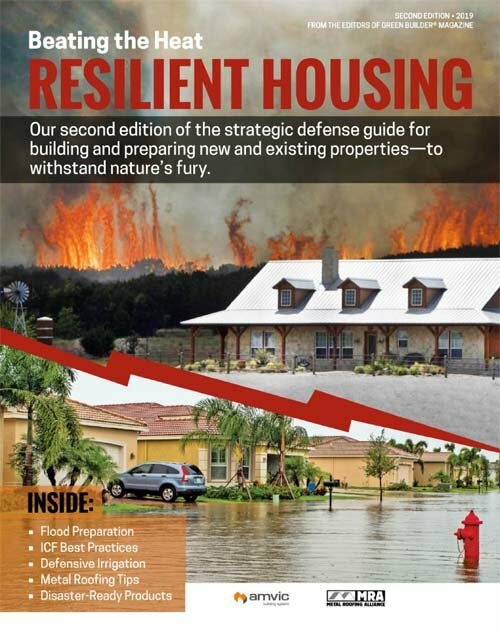 For more information about green building and sustainable living, visit Green Builder Media at www.greenbuildermedia.com, like us on Facebook, and follow us on Twitter for regular updates and breaking news.